The Lil' Holster Any provides an ideal home for the crafting tools you use most. It's where you need it, when you need it. 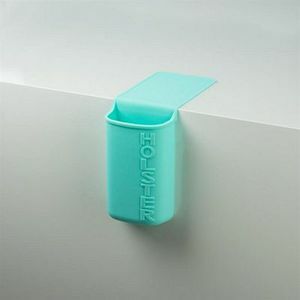 The Lil' Holster Any enables better craft and hobby outcomes while using your hot crafting tools. These Holsters contain your tools and the heat from glue guns, curling irons, etc. and frees up your space. The Lil' Holster Any is perfect for scissors, brushes, TV remotes or tools in the garage. It clings to most everything...finally a place to have your tools where you need them. Length 11", Width 3.25". Depth 1.75".